Address : Domaine de Donadille 30230 RODILHAN GARD (FRANCE). Photography : © ITV / CAUE du Loir-et-Cher / CAUE du Doubs. 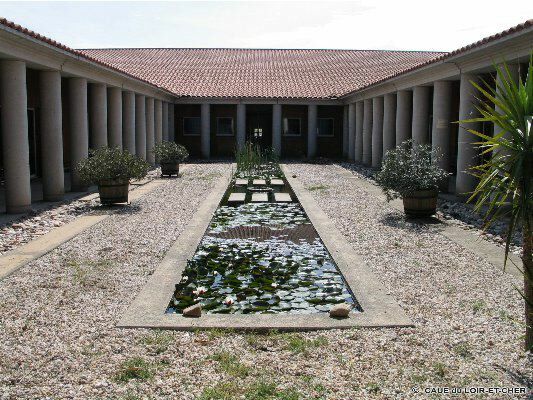 The « Centre d'Expérimentation Viti-vinicole Rhône-Méditerranée » or ITV (‘Rhône-Méditerraneen Experimental Wine School’), as it was originally called, is based at Rodilhan in the Donadille domain, close to the Agricultural College of Nimes-Rodilhan. Initially orientated towards the protection of the vineyards, the Nimes ITV has progressively opened up to agriculture and winemaking in general. Its recently added functional elements have allowed it to take on numerous subjects from the standardisation of active fungicides and herbicides to the study of their unwanted side-effects. 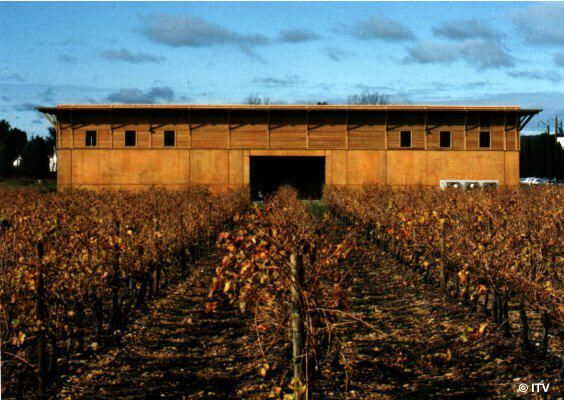 The building, constructed facing onto the vineyards, is a simple volume conceived according to a rectilinear plan. From a functional point of view, it is divided into two elements : the offices and production facilities which allow for experimentation. 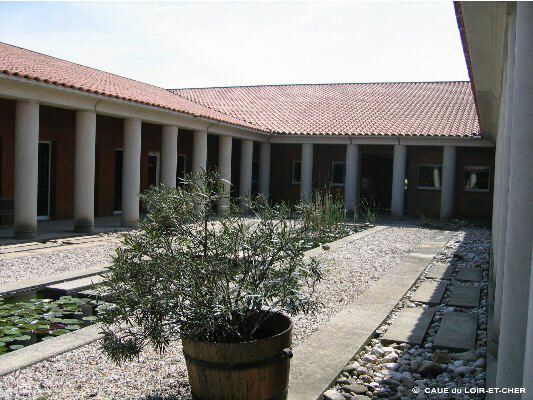 The offices are situated around a central patio which is the organising element for the whole. 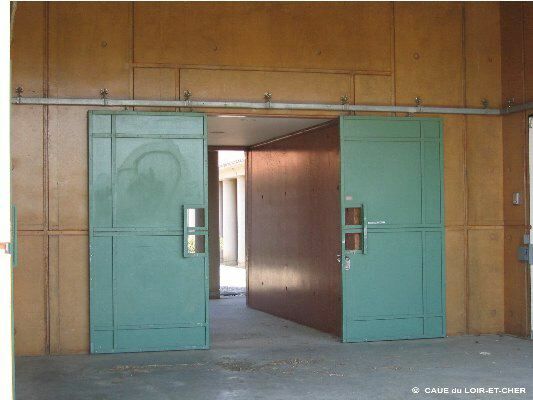 The winemaking workshops, the spaces for the elaboration of wine, the laboratories and the technological spaces are situated towards the exterior. The building is composed of a base in varnished concrete which makes reference to the colour of the earth of the surrounding landscape. The upper levels are clad in timber. The roof is tiled. The patio is distinguished by a long water feature which is surrounded by a colonnade.